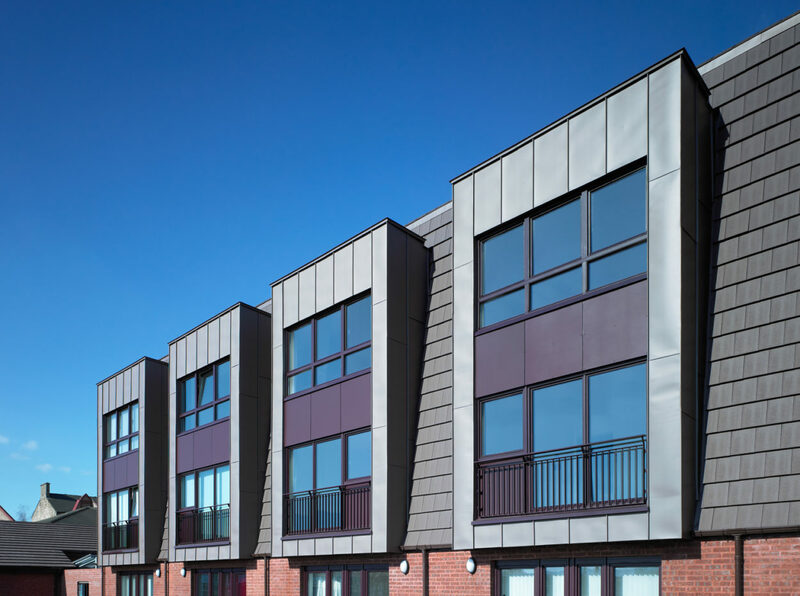 Killin Drive is a new build housing development in the east end of Glasgow commissioned by Shettleston Housing Association, a registered social landlord who owns and maintain social housing across the Shettleston district. 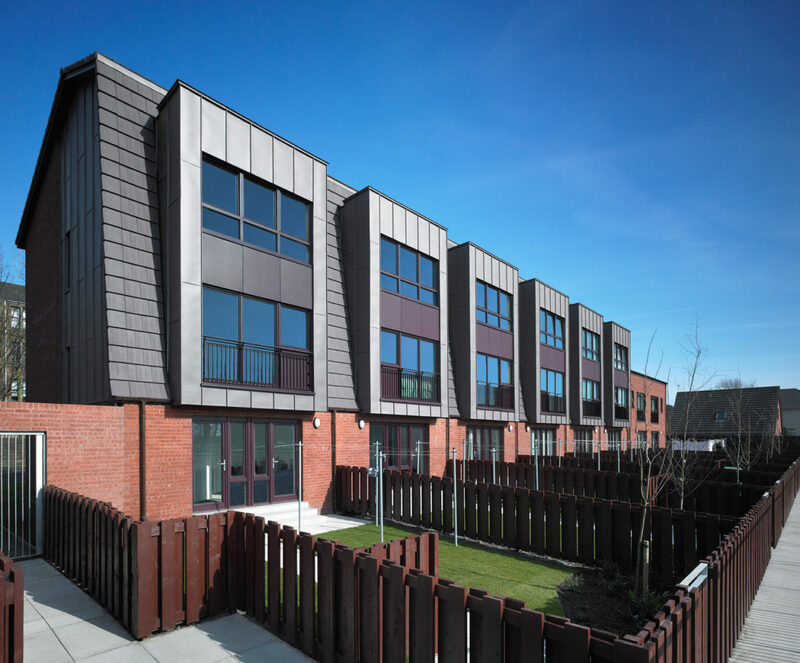 Shettleston Housing are well known for their commitment to ecological issues and have invested heavily in the regeneration of small communities throughout the area. The site was previously occupied by John Wheatley College. The college relocated to a purpose built campus and re-developed the traditional Sandstone building for small enterprise businesses. This change of use provided a narrow pocket of derelict land previously owned by the college to be developed by the housing association. A variety of house types models and flats were explored to maximise the narrow site constraints and capture the main South facing aspect. The project remit to provide large family homes to meet local demands and enhance a new street community lead the design of terraced townhouses. The development provides 9 family homes within a terrace block of 2 storey houses and three storey townhouses and 1 detached wheelchair accessible bungalow. The project is designed for existing local families and provides super insulated energy efficient homes for low running costs. All living spaces are located on the first floor projecting dormers to give fantastic South facing views over the neighbouring playing field. All house types are tied together with a wrapping brick envelope wall to accentuate the red zinc projecting dormers and 2 storey mansard roof.